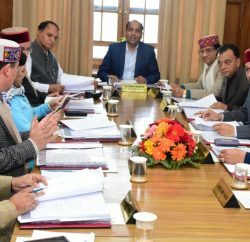 Himachal Pradesh Cabinet has approved to extend the time period for submission of Detailed Project Report (DPR) in respect of Small Hydro Electric Projects upto 5 MW of capacity from 24 months to 36 months from the date of issuing consent letter for the projects in Lahaul and Spiti by amending the Hydro Policy. Extension upto one year shall be permissible subject to payment of extension fee of Rs. 10,000 per MW per month. 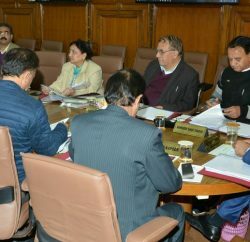 Cabinet also decided to facilitate Himachalis who have been allotted HEP of 2 to 5 MW of capacity to allow them sale of 49 percent of their equity shares to Non-Himachalis at any stage after allotment of a project. However, transfer/dilution of shares by Himachali allottee to Non-Himachali will be subject to the condition that the original allottee shall retain the controlling interest i.e. 51 percent equity in the new entity upto two years after actual commissioning of project. It has been approved to allow change in location/elevation of 13 Small Hydro Electric Power Projects below the capacity of 5 MW. The IPPs enhancing generation capacity by more than 20 percent shall be liable to provide 3 percent additional free power Royalty to the State besides Upfront Premium Pro-rata basis and capacity Addition. Rate of Rs. 1.00 lakh shall be payable for enhancement upto 0.50 MW; Rs. 2.00 lakh for projects with enhancement in capacity between 0.50 to 1.0 MW and Rs. 5 lakh per MW for enhancement of over 1 MW capacity. 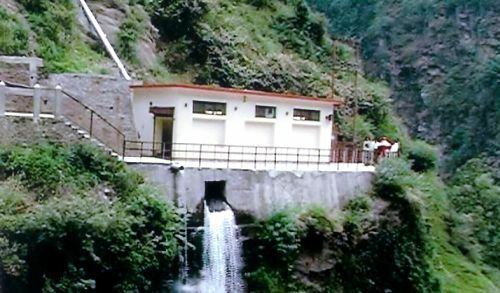 It has been approved to cancel 1.5 MW Dholera Small Hydro Electric Project in district Kangra.